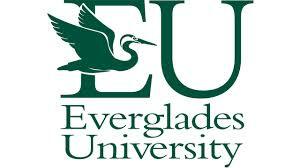 The mission of Everglades University is to provide quality education to adult learners of diverse backgrounds in a collaborative environment where each individual has the opportunity to achieve personal growth. The University seeks to accomplish its mission by combining small class sizes and innovative programs with traditional academic values. The University supports the academic endeavor through research, scholarly contribution, and service, to deliver graduate and undergraduate programs both on campus and online. 5002 T-Rex Avenue Suite 100.